At Nature’s Touch Tree Care and Landscaping, we have made customer service and craftsmanship a top priority. We have been the top of the line tree service in Minneapolis for homeowners and business owners since 2006. We have trained and qualified employees that will assist you in customizing your landscaping. Your landscaping will be beautiful and safe after using our services. We provide complete customer satisfaction and look to meet and exceed your needs. At Nature’s Touch Tree Car & Landscaping we will provide you with a customized and personal landscaping service. 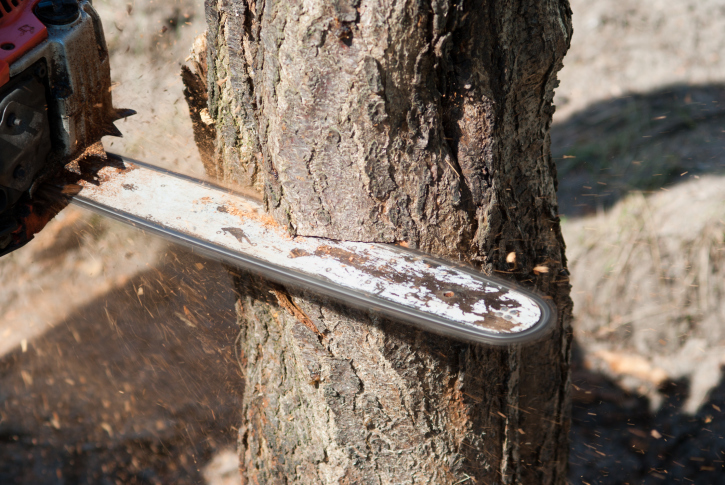 Our professional arborists will consult with you to remove dead trees, plants, and shrubs, so your trees will be healthier and grow in the right direction. We are a full-service landscaping and tree care supplier. Minneapolis, Minnesota is the fourteenth largest city in the United States with a population of nearly 3.8 million. Minneapolis lies on the Minnesota River and the Mississippi River, so the city is rich in waterfront living. It has twenty lakes, waterfalls, and wet lakes. The city’s nickname is the “City of Lakes” and the “Twin Cities.” The motto for the city is, “En Avant,” which is French for “Forward.” The city was founded by Franklin Steel and John H. Stevens. The city was incorporated in 1867. Minneapolis is a fantastic city full of history. If you are visiting the city, then there are a variety of tours that you can go on to learn about the city. There are bicycle, boat, walking, and Segway tours that you can take to learn all about this wonderful city. The Landmark Center offers exhibits, five galleries, music, and arts. This is the perfect location to learn about the city. A few other fun activities for families include the Ice Castles, Como Park Zoo, Minnesota Zoo, Nickelodeon Universe, and the Sea Life Minnesota Aquarium. Minneapolis has some of the best shopping available. There are all types of stores, boutiques, and shops available, which include Candyland INC., The Crystal Court, and Mall of America where there are over 520 stores and 60 restaurants. The Mall of America is the largest mall in the United States where there is shopping, dining, and many other attractions. Updates Can be Found Here! return to this page for the latest from the best Minneapolis tree company!